Now this is the drink that I am sure everybody in the entire family will love. Imagine enjoying a cup of hot chocolate on cold winter days and nights. Imagine the smooth rich taste of chocolate and its rich aroma wafting in the room. Now, imagine enjoying all of these without the guilt of ingesting too many calories and caffeine. That is the magic that Organo Gold Ganoderma brings. This chocolate drink is made from dark chocolate. 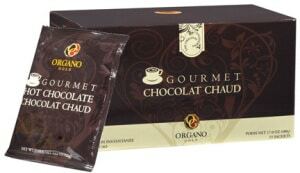 As with all Organo Gold products, this drink has been infused with 100% certified Ganoderma extract. The dark chocolate has been sweetened a little bit but it is not as sweet as the usual chocolate drink. Gourmet Hot Chocolate has a very smooth and rich taste that kids will surely love. Our kids can enjoy the benefits of Ganoderma without even knowing it is actually healthy. Wouldn’t that make things a lot easier for moms and dads? Now, how does this drink compare with others in the market? Cost per cup is comparable but then you wouldn’t get the health benefits of Ganoderma from others. 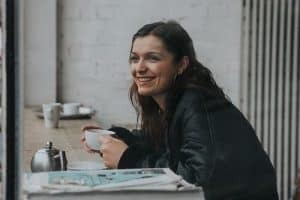 Also, regular chocolate drinks in coffee shops are laden with sugar that will cause your insulin level to spike.